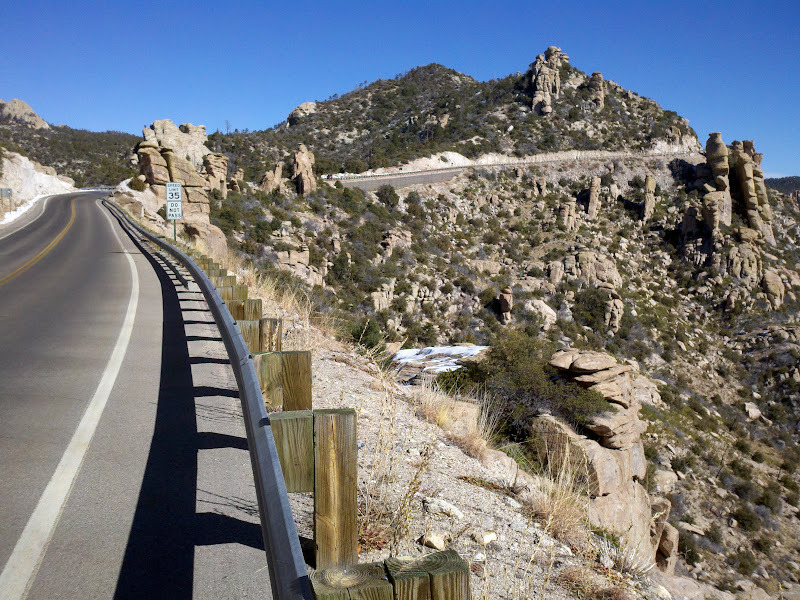 Mount Lemmon is one of the top bike climbs in America in terms of elevation gain, and it can be accessed easily from Tucson. 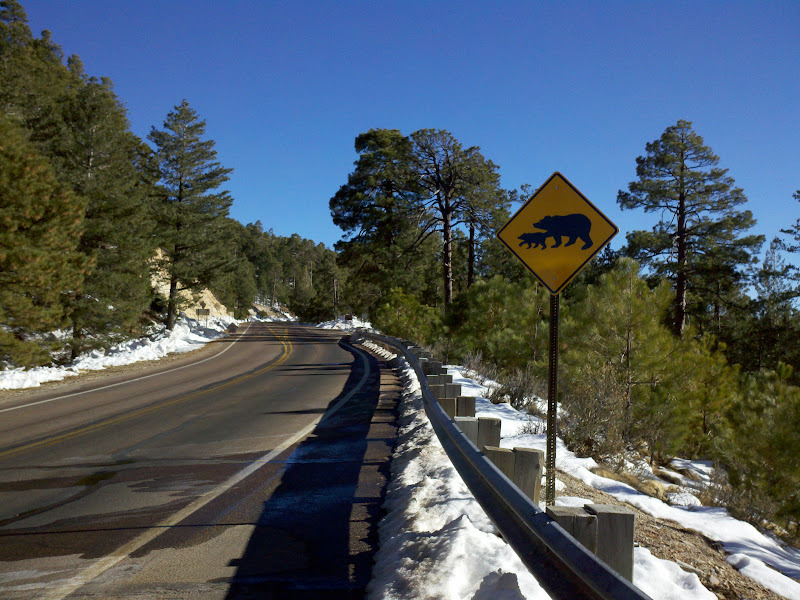 After entering Coronado National Forest, Catalina Highway ascends 20 miles to Palisades, 25 miles to Summerhaven, and 27 miles to Ski Valley. 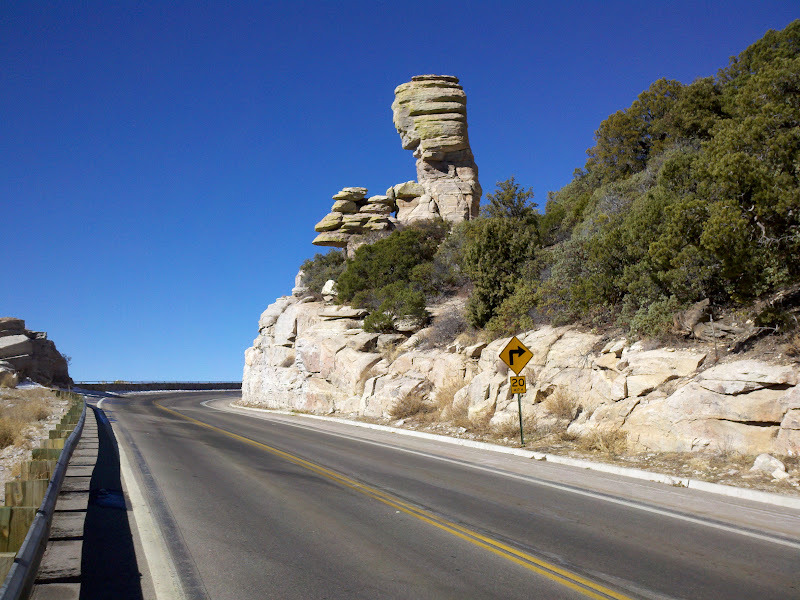 From Ski Valley, Ski Run Road climbs another 2 miles to the observatory, which is located at 9,100 feet above sea level. 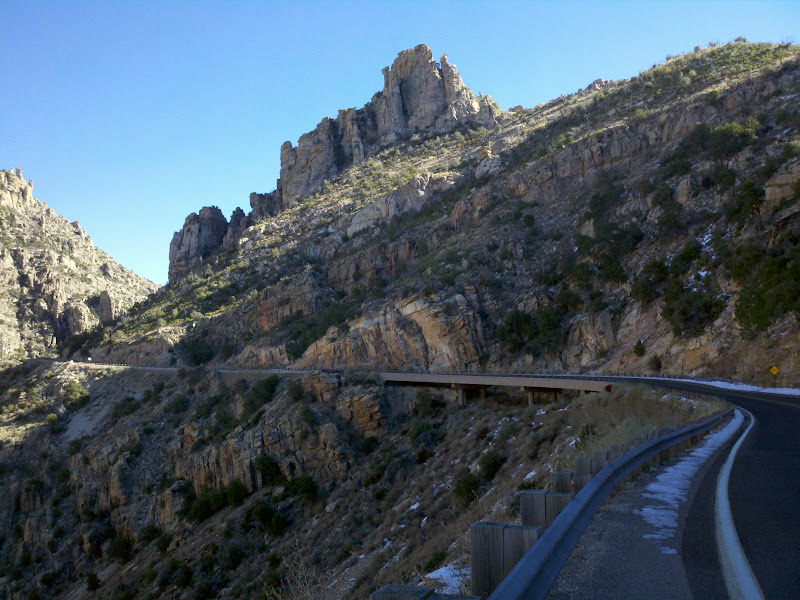 Catalina Highway is smooth with a wide shoulder and wide turns, mile markers, and a steady 5 to 6 percent grade. 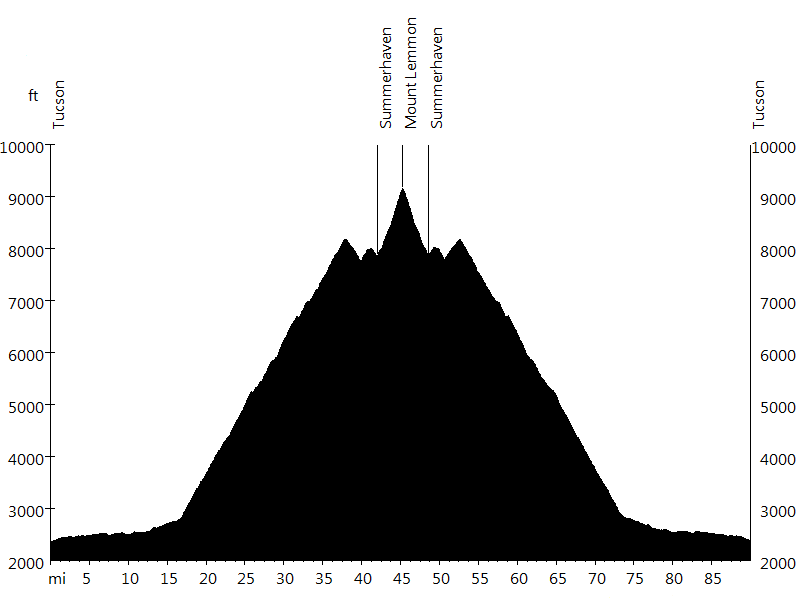 Only the 2 miles to Ski Valley are steeper, around 8 percent, and the last 2 miles to the observatory are the steepest, exceeding 10 percent. 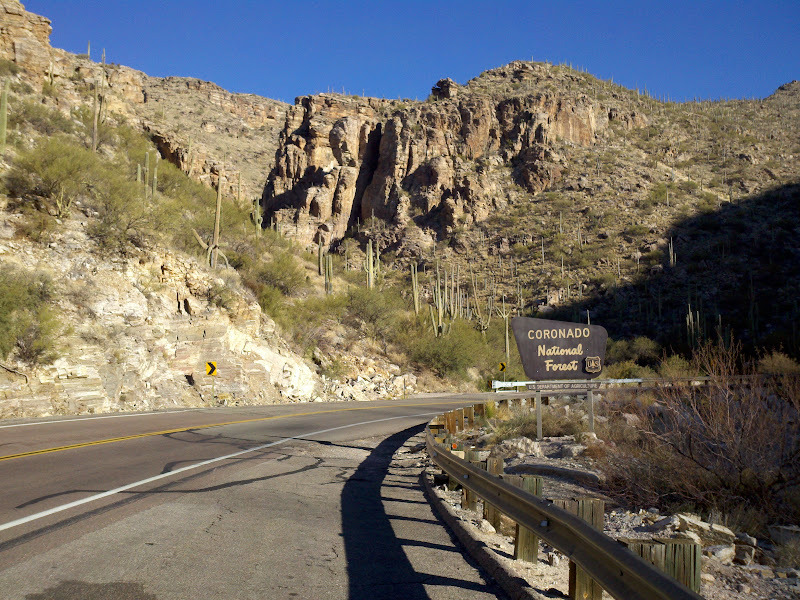 Vegetation ranges from saguaro cacti at the bottom to pines and aspens at the top. 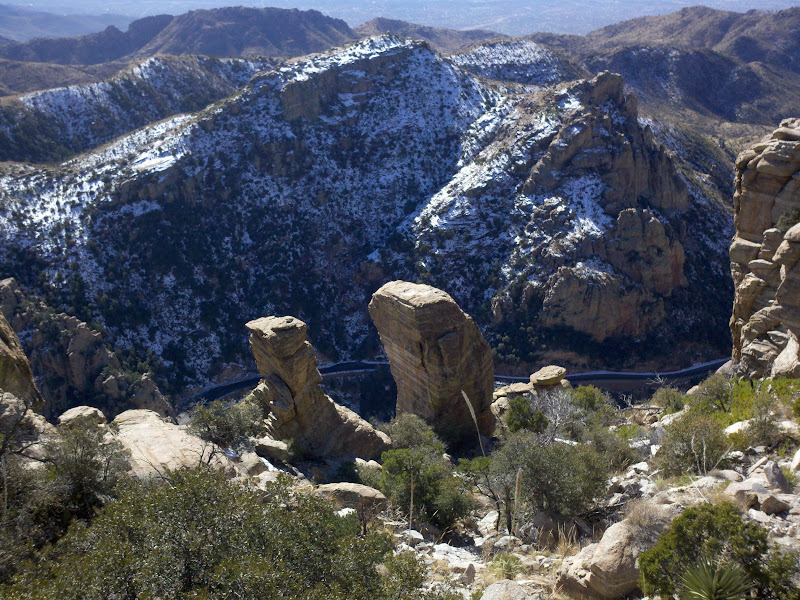 Sandra and I went to Arizona for a long weekend. 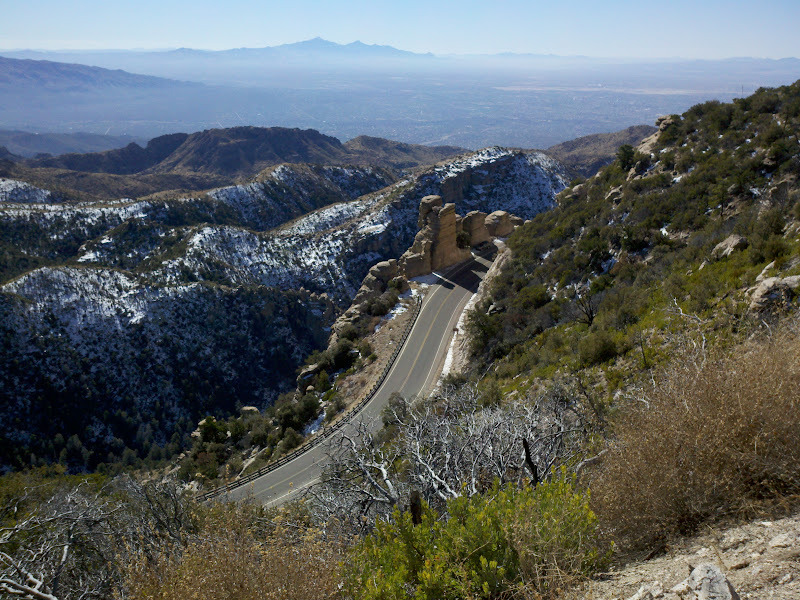 On Friday I rode Mount Lemmon and she was crewing for me. 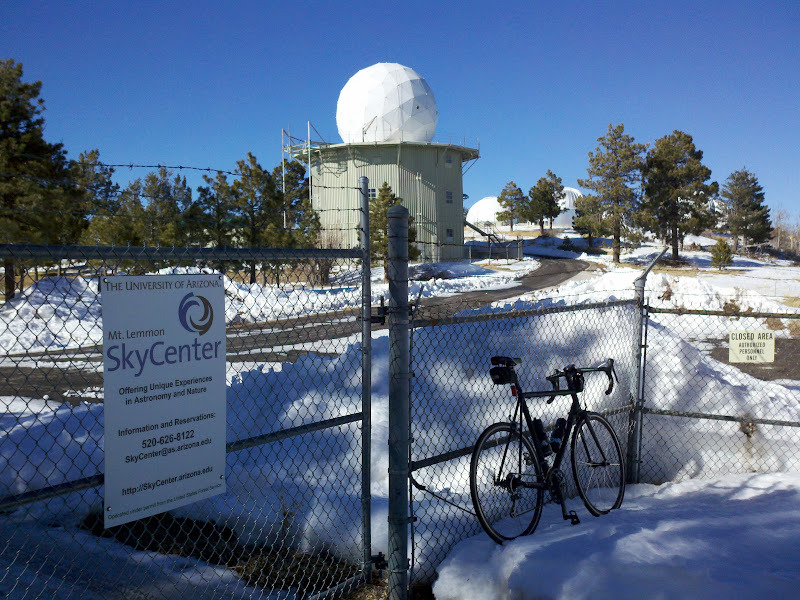 She convinced the guard at the top to let me ride to the observatory, even though Ski Run Road was closed due to construction. She was also waiting with warm apple pie from Iron Door restaurant, when I returned from the summit. On Saturday we went to Phoenix and relaxed. On Sunday Sandra ran the Phoenix Half Marathon in preparation for the Boston Marathon, finishing 13th out of 1,697 in her age group. 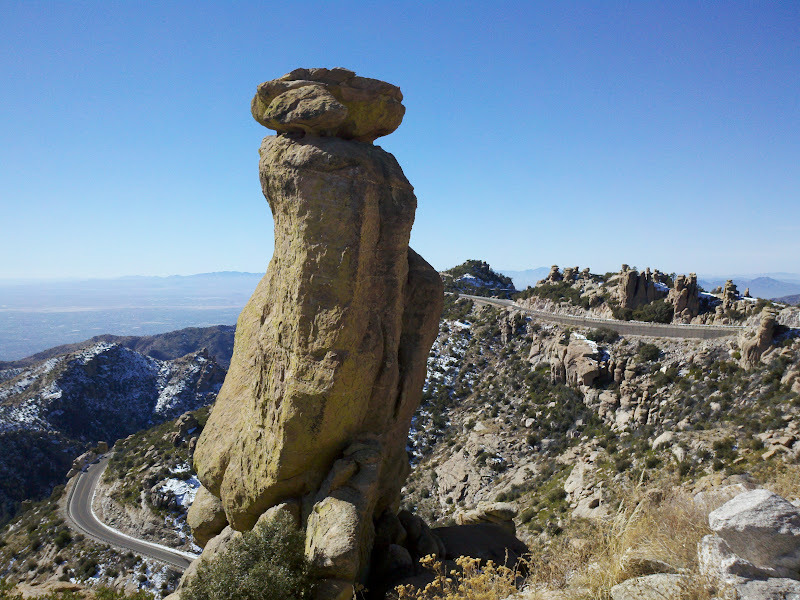 I want to return to Mount Lemmon in spring or fall and ride Oracle Control Road, a dirt road on the backside of the mountain. 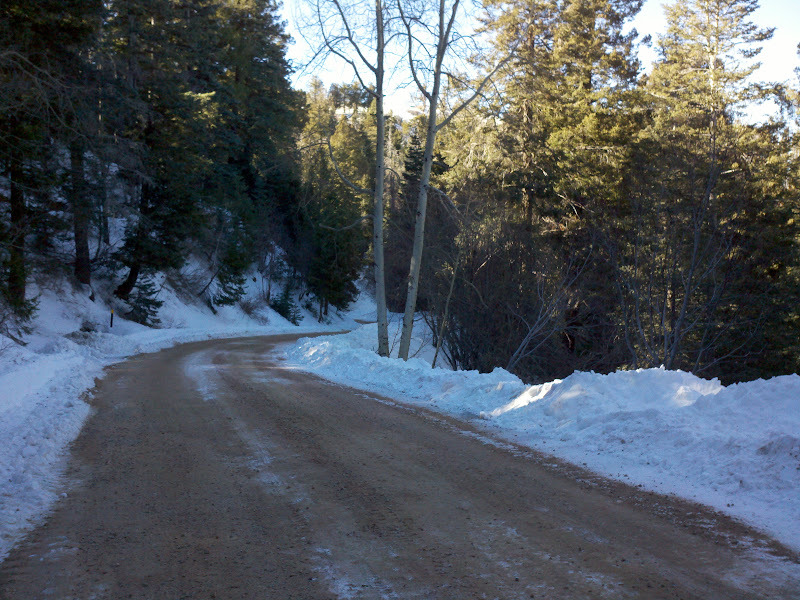 This road is seasonally closed due to ice and snow.